GET IN THE VAN TODAY! Creating a fun, laid back and relaxed style wine tour while educating you about the amazing wines of the Okanagan Valley is what Beach Bum Tours is all about! Take a scenic wine tour of one of the Okanagan Valley’s famous Wine Trails and discover wines from the regions of Lake Country, West Kelowna, Summerland or Penticton’s Naramata Bench the Beach Bum way! Not into wine the way you are into beer, whiskey or ciders? Then take a Beach Bum Craft Crawl! Visit 5 of Kelowna’s craft breweries, craft distilleries and our cidery. Have lunch at Kelowna’s gastropub, The Curious Café, specializing in craft beers and wood fire pizzas! Discover Kelowna’s growing craft beer and spirits market and get the best of it all! Learn to stand up (SUP) paddleboard on one of Canada’s most beautiful lakes, Kalamalka Lake! Take 2 hour water tour with instructions (if needed) in partnership with Kalavida Surf Shop. Enjoy lunch overlooking Kalamalka Lake, then head off for a 4 hour wine tour of Lake Country’s famous wineries. Imagine a day of wine touring followed by an amazing afternoon sailing the Okanagan Lake on a 36′ sailing yacht. Sip wine on the deck and have the best experience ever! Learn to pole dance or aerial hoop with our new partner’s Okanagan Pole Dance Studio with a private class. Follow this up with an afternoon of wine tasting and enjoying the Okanagan Valley. Start your day with a ralaxing and fun electric bike ride around Wood Lake, followed by lunch and an afternoon of wine touring on Lake Country’s Scenic Sip. We’ve partnered with Pedego Oyama to create a fun and scenic filled day! Dangle, fly, climb and have an adventure! We’ve partnered with Oyama Zipline to create a full day of fun, adventure and wine/beer tasting! Learn to wake surf with Kelowna’s Premier Wake Surf School! Private 2-3 hour wake surf tour and lessons with Surf Kelowna on Wood Lake located in Lake Country, followed by lunch at Turtle Bay Pub located on the water at Turtle Bay Marina. Then set off for a 3 to 4 hour wine tour of Lake Country’s famous wineries. Pick up and drop off from Vernon to West Kelowna*. Surf, suntan, relax and have a bevy or two! Take a private 3 hour wake boat tour with our Okanagan Lake partner, Evoke Wake Adventures. Jump onboard with our fully licensed and entertaining Captain skilled in coaching water sports and use of all watersport premium equipment! Then lunch at one of Kelowna’s hottest local pubs/restaurants followed by 4 hour wine/beer/spirits tour. This is a full day to remember! Have your bachelor/bachelorette party the Beach Bum way! We specialize in Bachelorettes and Bachelor parties! We can create a fun-filled day/weekend specific to your group. Leave the planning to us so you can enjoy your day! Yes, the Van is 4 Wheel Drive! 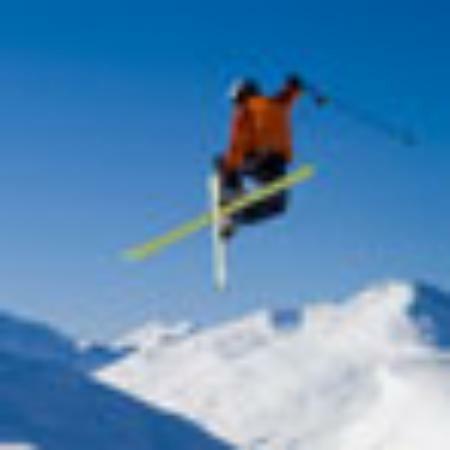 Let us get you up the mountain to enjoy your skiing experience! Private and flexible shuttle service from the airport or your hotel to Revelstoke, Big White and SilverStar. Need to stop and shop? No Problem! We will take you where you need to go! Looking for something different or just looking for a fun and entertaining driver with a cool van to charter your group for an event? We do custom tours and charter services to create the experience that you are looking for! Give us a call and we can tailor our services just for you! We also offer Corporate Tours for your office! Show your employees that you value them and take them on a tour! Contact us directly for corporate rates. All tours require a 20% deposit to secure tour with balance due on tour day. Cancellation policy: full refund of deposit will be given 30 days prior to booked tour. No refund of deposit after 30 days. Children are not permitted to drink alcohol in BC prior to the age of 19 therefore will not be permitted on tours. Wineries, breweries and cideries may be adjusted for scheduling and timing purposes. Times and pick up location will be confirmed 48 hours prior to tours.